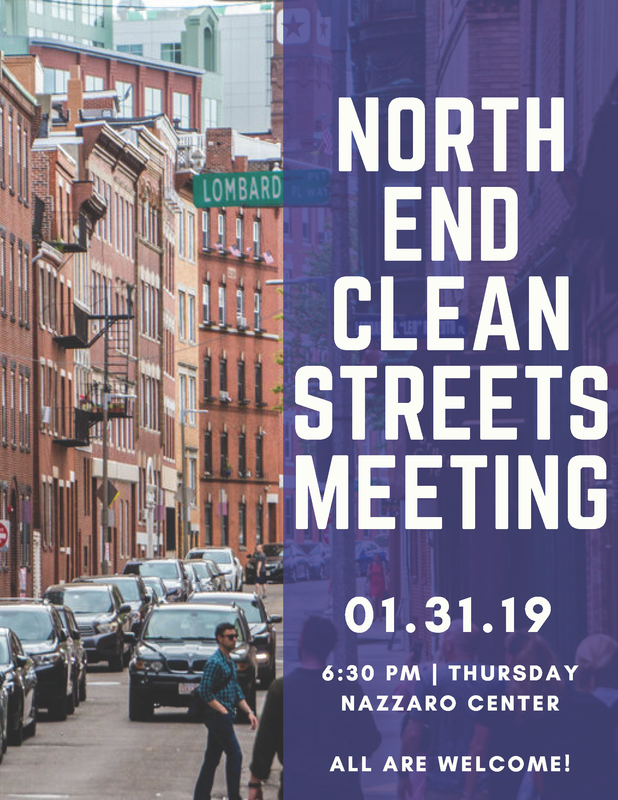 The North End Clean Streets Committee will hold a public meeting on Thursday, January 31 at 6:30 p.m. at the Nazzaro Center. The Clean Streets Committee is part of District One City Councilor Lydia Edwards’ proposal to tackle the neighborhood’s persistent trash issues with a new non-profit structure similar to a BID. The committee will determine a voluntary residential and business pay-in rate in a certain geographic area to hire hokeys to clean that area. Watch Councilor Edwards’ presentations to the Neighborhood Council (NEWNC) and the Residents’ Association (NEWRA) to learn more.